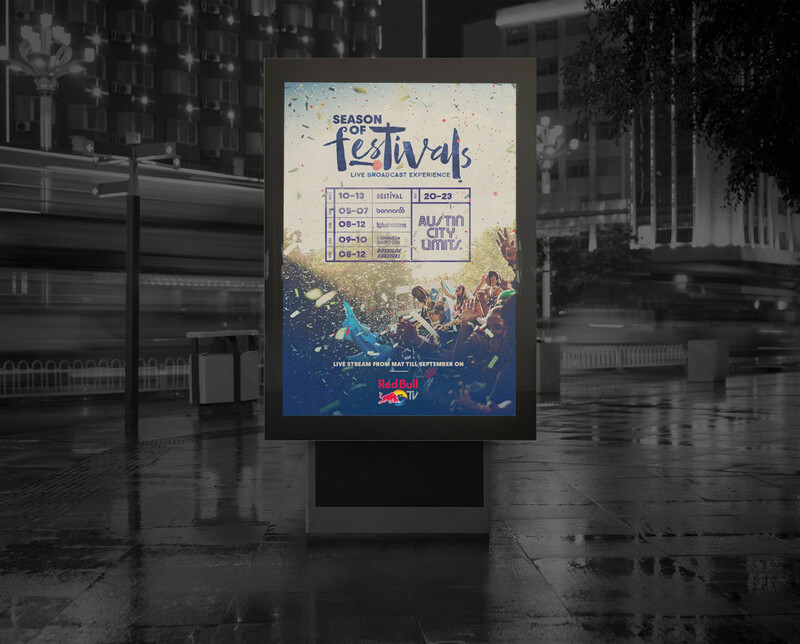 Key visual and Logo design for Season of Festivals livestreaming 2016’s biggest festivals on Red Bull TV. Client: Red Bull TV. Agency: I-AM-STUDIO.